Corner pinholes, additional fold at left & right borders. Can you dig it? Breakthrough movie giving a strong lead role to a black character with stacks of style, and influencing a whole new genre. 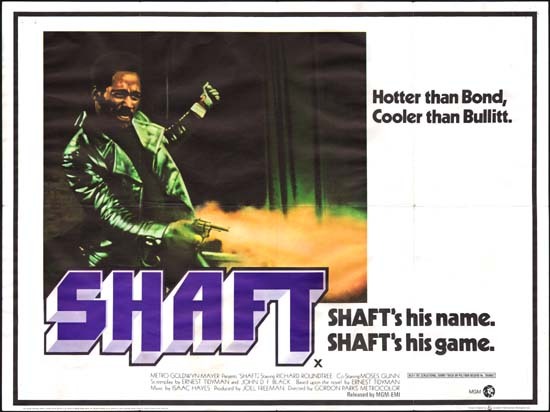 The ultra-cool theme and soundtrack by Isaac Hayes only add to its iconic stature.